St. Elizabeth Parish is undertaking a major overhaul project to replace the church roof, clean the exterior of the church and repair and paint the interior ceiling of the church. 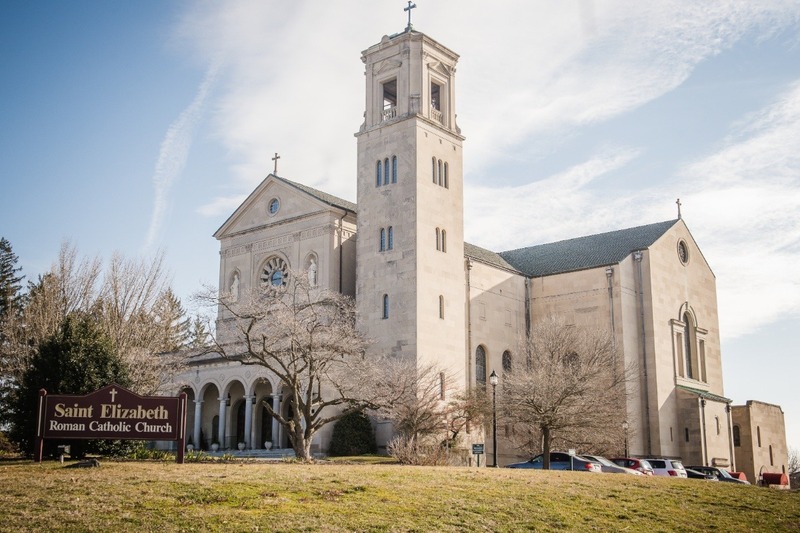 As many are well aware St. Elizabeth Church has played a prominent role in many St. Elizabeth School events as well as events held and sponsored by the Diocese of Wilmington. Our Church has been the site of several bishop's installation masses, the centerpiece for the yearly Diocesan Pilgrimage, host for the annual Blue Mass and St. Patricks' Day Society, and many, many more. The beauty and elegance of the church attracts people from all areas of the city and county. As a beacon on the hill our church takes a hit from the wind. Our church roof and ceiling are in desperate need of replacement and repair. If you've attended church lately you can see the latest damage caused by years of wear and tear. The estimated cost for this extensive project is a little over $500,000, but because of the graciousness and commitment of several friends and families affiliated with our school and parish we can undertake this project for the cost of approximately $105,000. The time to act is now, to prevent any further damage to the church. We hope to begin this project in late spring or early summer of 2019. We ask for your consideration and support of this project, but more importantly your prayers as we undertake another major milestone in the beautification to our wonderful place of worship. On behalf of Father Carroll and our Parish leadership, we thank you for your generosity and support of this initiative.